University of South Carolina Press, 9781611174342, 305pp. 'You set yourself up as judge, jury, and executioner, Pamela had said, but that was wrong: you set yourself up as angel, and await the word of God. Luther Redding lost his job, and almost lost his wife, Pamela, and teenaged daughters Katie and Lucy, when the real estate bubble burst in Florida. Now he pilots a Reaper drone over the mountains of Afghanistan from a command center in the bowels of Tampa's MacDill Air Force Base, studying a target's pattern of life and awaiting the command to end that life. Meanwhile Bobby Rosen has returned home from his tours in Iraq to a broken marriage and an estranged son, his promising military career cut short in a moment of terrible violence in a Sadr City marketplace. As the tales of Luther and Bobby unfold, Mark Powell masterfully engages with the vexing, bifurcated lives of combatants in the global war on terror, those who are simultaneously here and there and thus never fully freed from the life-and-death chaos of the battlefield. As Bobby sets off on a drug-fueled road trip with his brother Donny, newly released from prison and consumed by his own inescapable impulses, a sudden death in the Redding household sends Luther's daughter Katie spiraling into grief and self-destruction. Soon the lives of the Reddings and the Rosens intersect as the collateral damage from the war on terror sends these families into a rapid descent of violence and moral ambiguity that seems hauntingly familiar to Bobby while placing Katie in a position much like her father's more removed witness than active participant in the bloody war unfolding in front of her. Overarching questions of faith and redemption clash with the rough-hewn realities of terror and loss, all to explosive ends in Powell's dark vision of modern Americana. Novelist Ron Rash has deemed Powell the best Appalachian novelist of his generation. In this, his fourth novel, Powell broadens the southern backdrop of his earlier work into a sprawling thriller taking readers from the Middle East to Charleston, southern Georgia, Tampa, Miami, New Orleans, and into the storied American West. 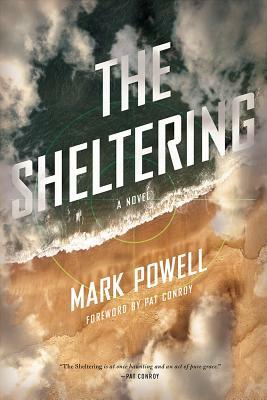 In its themes, perspectives, and pacing, The Sheltering recalls the work of Robert Stone, Jim Harrison, and Ben Fountain while further establishing Powell as a unique voice capable of interrogating unfathomable truths with a beauty and cohesion of language that challenges our assumptions of the human spirit.